It had its time all the equipment to be clever and connected to the phone, no exception the cradle also getting smarter or rather make the parents will be able to little relax. 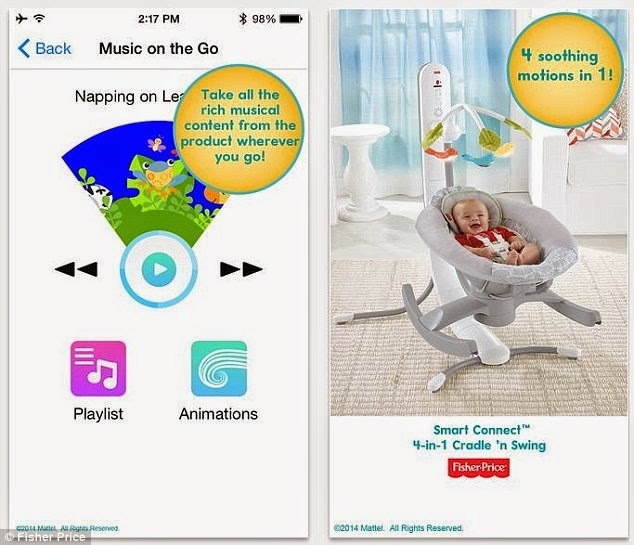 Fisher 4-in-1 Smart Connect Cradle in Swing is the cradle in which not only can be rocking itself but this smart cradle also can connect to a mobile phone or tablet via Bluetooth connection. Through the help of the applications, we can activate the cradle rocking without having to get down from bed and walked to the cradle, although it may equally make us woke up but still easier with sufficient control through the phone without having to get down of the bed with a maximum distance of about 50 m.
We can set the 6 level of rocking in the cradle even we can turn on the music on the cradle through the phone (there are 16 songs and 3 natural sound). 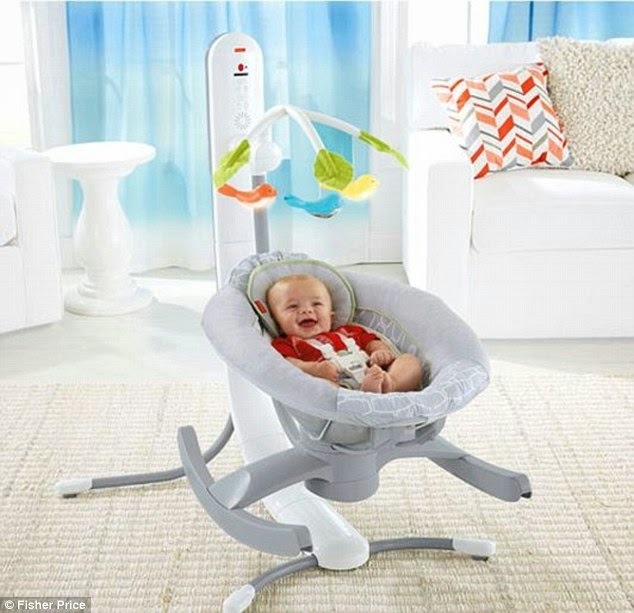 The cradle also has 2 ways to wiggle the baby, which side to side or up and down, it is also important to remember sometimes every baby has a favorite way to put him to sleep.